For the second week in a row the Browns opened up their scoring with a long touchdown pass from Johnny Manziel to Travis Benjamin for 60 yards on a play action pass. It was the beginning of a comfortable win for the Brown’s as they managed to control Marcus Mariota in his third start. 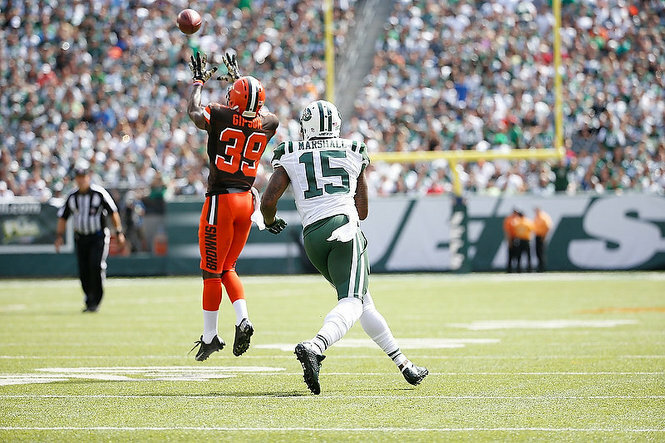 The Browns return home to Cleveland to play the Titans this week after a disappointing loss away to the Jets in New York. The Browns are hoping for a better performance on both offense and defence after last week’s poor showing. The Browns will be hoping for a repeat of the win they got last year when Brian Hoyer lead a big comeback for a one point win. The big news for the Browns is that Josh McCown hasn’t passed the NFL mandated concussion protocol so Johnny Manziel will be starting Sunday. Coach Pettine had said that if McCown was passed he would start despite not having practiced all week. With McCown out all week, Johnny Manziel has been taking first team snaps as he prepared to make only his third start, only one more than Titans QB Marcus Mariota. Manziel seems a lot more prepared this year than he did for his first start last year against the Bengals, saying so himself earlier in the week, “I think it was a good week. I am extremely comfortable. 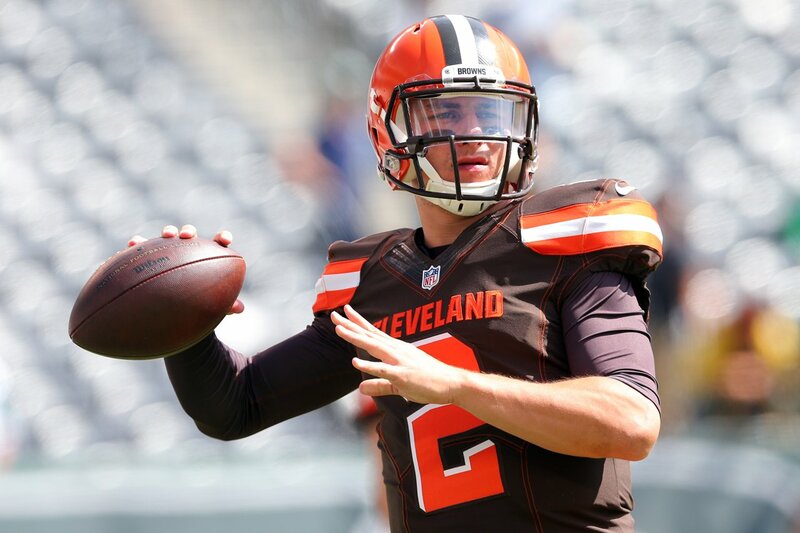 I think everyone that has been in there this week feels really good about what our scheme is and what our plan is and looks forward to Sunday and getting ready for the game.” Manziel vowed to improve after last week’s impromptu performance where he had no time to practice due to his elbow soreness. Austin Davis who is only two weeks with the Browns will be Manziel’s backup against the Titans. 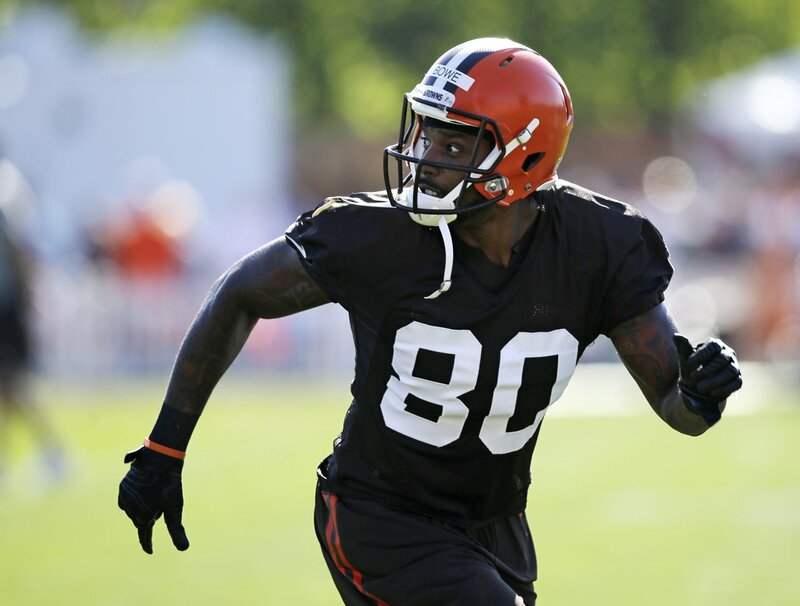 The Browns will get a boost this week with the return of GM Ray Farmer’s prized free agent receiver Dwayne Bowe. Bowe missed week one with a hamstring injury but will definitely play in week two. Bowe could be a big help to a Browns offense that really struggled with red zone offense last week with his size creating a difficult matchup for any defender. Defensively, the Browns suffered a blow with the news that OLB Scott Solomon will be out for 4-6 weeks with a high ankle sprain after injuring it against the Jets last week. Solomon had been one of the stars of this year’s camp after being picked up as free agent last season and working his way into the rotation as the season progressed. Solomon will be replaced by first round pick Barkevious Mingo and rookie Nate Orchard, who sacked Titans QB Marcus Mariota last year when Utah played Oregon. The Browns will be hoping to stop Marcus Mariota from performing like he did last week against the Buccaneers when he threw for 4 touchdowns. It is however important to say that this is a Bucs team that will adamantly come out playing the same Tampa 2 defence for the entire game even when it clearly isn’t working. The Browns managed to keep the Jets from completing any passes to their tight ends but they will face a much bigger challenge this week when they face Delanie Walker who is one of the better tight ends in the league. The match up also includes an early return to Cleveland for RB Terrence West, only two weeks after he was traded to Tennessee for a seventh round draft pick. West never really fit in with the Browns after maturity and consistency issues and might have been cut if wasn’t traded. 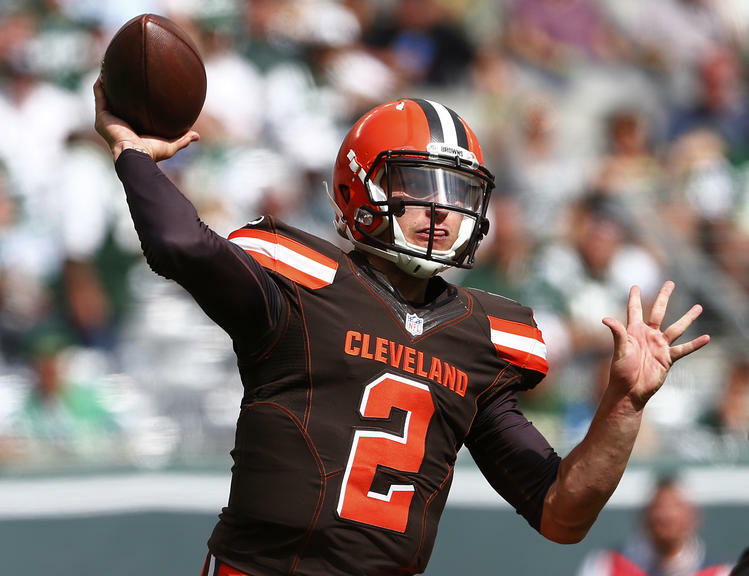 Hopefully with a week of practice Johnny Manziel can help lead the Browns to victory over the Titans who finished with the second worst record in the NFL last season.